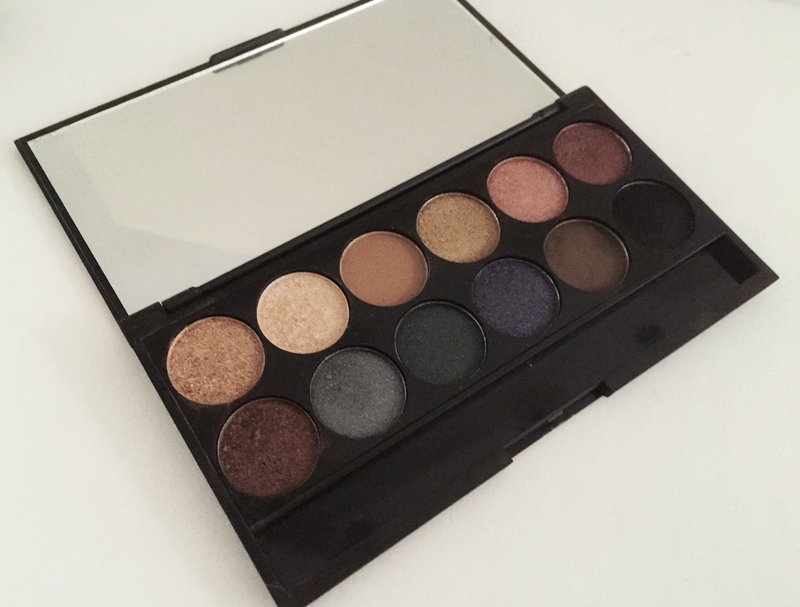 Two palettes that illustrate this perfectly are the Sleek Storm palette and the Revlon Colorstay 16 Hour Eyeshadow Palette in Adventurous (previously reviewed here.) 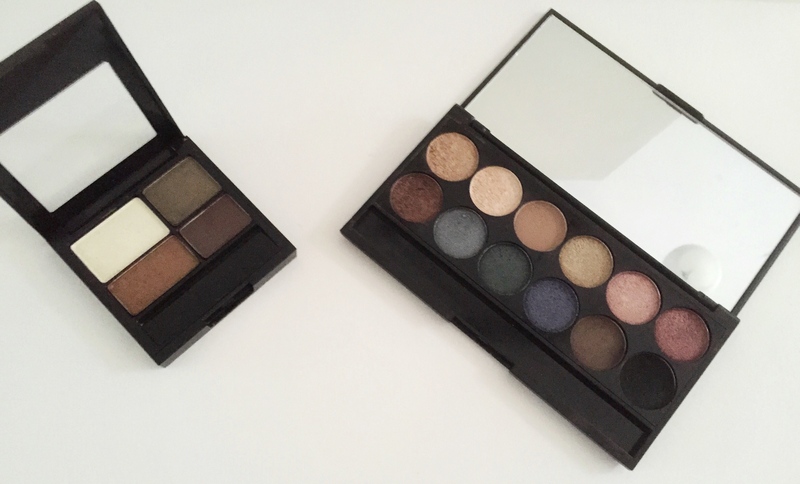 Both palettes won’t break the bank, offer a good range and are pigmented! I can’t rave about this palette enough. Just look at that range. I think what makes this palette stand out from others on the high-street is the fact that it is pigmented, has a massive mirror, and a good mix of neutral shades with the odd colourful one thrown in there. My most used shades are probably the gold and brown shades on the left-hand side. The black in this palette is fantastic, however there is a lot of fallout, so be wary of that when using it! The shades that let this palette down are the green and the blue. These colours had so much potential to be great going out shades, but their pigmentation isn’t great. One way to make them work is by using lots of primer (lots) and applying them with a damp, flat brush! If we compare it to the Urban Decay Naked palette we can see some dupes (and oh how I love dupes.) We can see near dupes for Toasted, Naked, Smog and Gunmetal. Although the texture of the Urban Decay eyeshadows is probably better, I still find myself reaching for this palette. It’s also a great one to travel with (more so than the Naked 1 palette) because it’s slimmer, and has sturdier packaging. At £7.99 this palette is a steal! 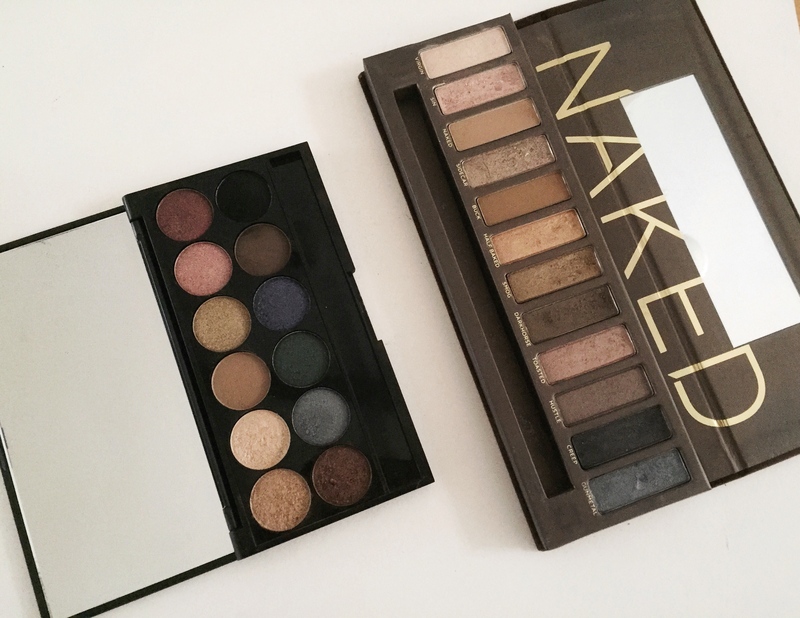 Which neutral palettes do you love? Let us know! In my opinion it’s abit too pricey, would much rather go for the 4£ dupe version I picked up today! !